I had the privilege and pleasure to work as a UN Volunteer Medical Doctor in three different countries. Thanks to these volunteering experiences, I was able to provide satisfactory and quality health care services to the needy, poor and sick, especially women and children in remote areas. Volunteering gave me the strength to accept the things that I could not change in different and difficult environments, and to share my skills with colleagues so that we could provide better and quality health care. Port of Spain, Trinidad and Tobago: I had the privilege and pleasure to work as a UN Volunteer Medical Doctor in three different countries. My first experience was as a UNV Medical Doctor in Kinshasa, Democratic Republic of the Congo (2009) with the United Nations Organization Mission in the Democratic Republic of the Congo (MONUC). It was an opportunity to learn about the UN mission way of life, and I underwent many trainings. Our level 2 clinic handled numerous Malaria cases besides other medical problems. My second assignment (2013) was as a UNV Registrar in Lesotho. This hospital dealt with large numbers of HIV/AIDS and tuberculosis cases. At that time, the prevalence rate of HIV/AIDS in the country was 23% in general and 27.6% in women, which meant that every fourth patient in the out-patients department I was dealing with was an HIV/AIDS case. 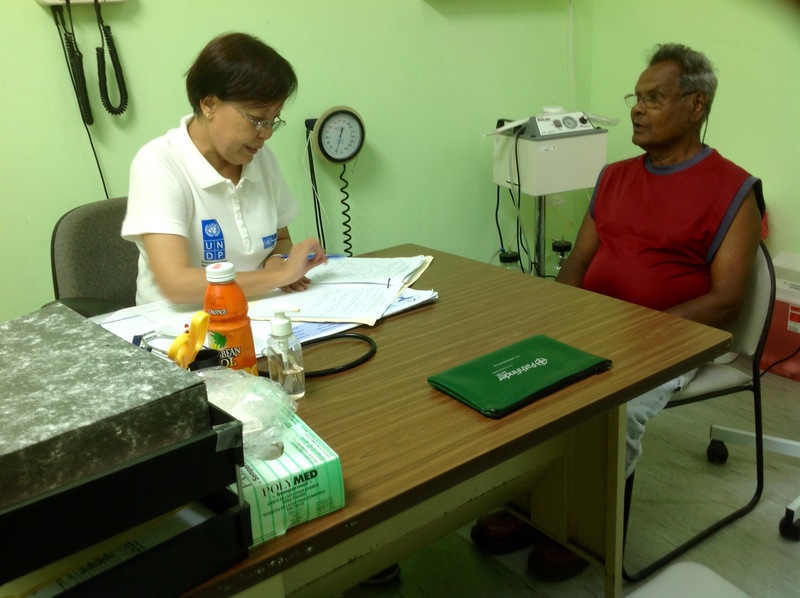 My third assignment (2014) was as a UNV Medical Doctor in Trinidad & Tobago, working as a Primary Health Care provider in the remote Tabaquite Health Centre, catering to the poor rural community. This health centre was a Chronic Disease Clinic for diabetes, hypertension, asthma, and a Mother and Child health care centre. Thanks to these volunteering experiences, I was able to provide satisfactory and quality health care services to the needy, poor and sick, especially women and children in remote areas. Volunteering gave me the strength to accept the things that I could not change in different and difficult environments, and to share my skills with colleagues and unit staff so that we, as a team, could provide better and quality health care services to the less fortunate sections of local communities, hence marching towards fulfilling the SDGs. I am grateful to the United Nations Volunteers (UNV) programme and to the United Nations Development Programme (UNDP) for giving me the opportunity to serve as a volunteer. My only regret is that I started volunteering a bit late, at the age of 56, but nevertheless I feel I could go on volunteering if a suitable opportunity knocks on my door. Through these volunteer assignments I am now thoroughly experienced with diseases like malaria, HIV/AIDS, tuberculosis, diabetes, hypertension, and asthma. Volunteering gave me international exposure, with travels to different countries where I met people from different ethnic and cultural backgrounds. My challenges were that I worked in a post-conflict country like DRC with huge security risks, in a resource-limited country like Lesotho, and in a remote far-flung countryside part of Trinidad and Tobago. I travelled thousands of miles, leaving behind the comfort zone of my home and my family to serve in an unknown terrain. My biggest achievement is to see a sick person return home healthy and with a smile.